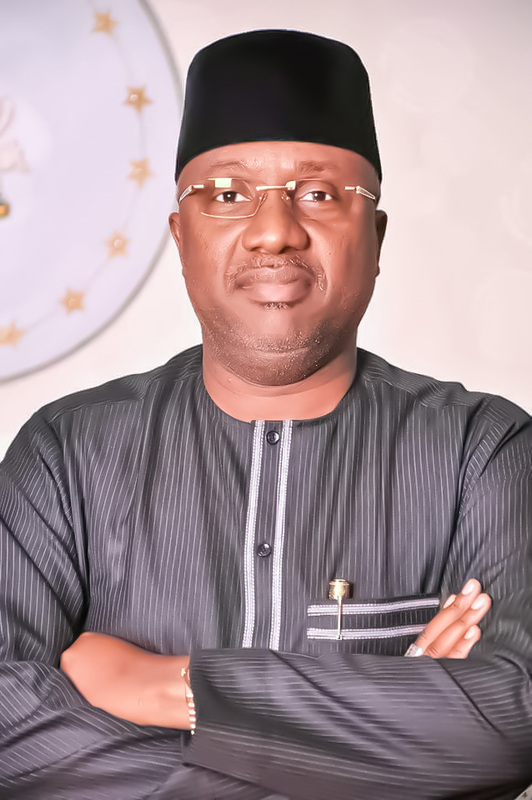 GOVERNOR Umaru Jibrilla Bindow of Adamawa State has denied allegations that he donated N70miilion naira to Atiku mega Rally held in Yola penultimate Saturday. Governor Bindow, who spoke through his Special Assistant on Media, Mr. Dickson Martins in Yola on Sunday, after media report broke out that Bindow allegedly donate N 70 Million Naira to Atiku mega rally in exchange for Atiku supporting Bindow in 2019 gubernatorial election, the online news medium also accused Bindow planning to appoint Atiku loyalist soon to one of the Agency any moment from now. The attention of the Adamawa State Governor senator Muhammed Umaru Jibrilla has been drawn to a malicious and false publication with the above title in an online newspaper, The News Halk of Saturday July 21, 2018 in which the writer Mohammed Ismail accused the Governor of anti-party activities and sponsoring the Mega rally of the People’s Democratic Party in the state. We want to say without mincing words that the publication is false, malicious, misleading and an attempt to mask the rising profile, good virtues commitment and sacrifice of Senator Jibrilla in upholding the All Progressives Congress, APC and making it the most popular party in Adamawa State. Senator Jibrilla says the authors of the fabricated lies have ran out of substance with which to discredit him and have resorted to cheap blackmail and childish flip stories. There was no such meeting between Senator Jibrilla and Njidda Pariya, it only existed in the fictitious imagination of the writer. Senator Jibrilla has been attending to serious meetings and other state matters in Abuja and was not in the state to have held such a meeting. “There was no transaction on the account of the Adamawa State Government at Zenith Bank on Thursday 19 July, 2018 as claimed by the online paper, journalists should learn to have verifiable facts before going to press, it is false and amounts to cheap blackmail and unprofessional Conduct on the part of The Online News medium”. In his words, “I have remained a committed and unrepentant supporter of the All Progressives Congress, APC and find it funny that someone will fabricate lies to accuse me of financially sponsoring another party in the state”. We want to state without fear of contradiction that those who want to forcefully and deceitfully devalue senator Bindow should first of all wait for their turn in governance and outdo his developmental feat before attempting to do so. Senator Jibrilla is satisfied that the people of Adamawa State are happy with his performance in the last 3 years, and is conscious of the developmental strides of his administration which has never been in Adamawa State before May 29, 2015 and so cannot be moved an inch by anyone’s attempt to contest the office of the Governor with him. We wonder with bewilderment where the writer got his malicious information that Senator Jibrilla will negotiate his Governorship from the fabricated point of view of dirty lies. His good virtues in governance and developmental strides are there for all to not only see but verify. The good work of APC under senator Jibrilla is spread glaringly across the 21 Local Government areas of the state for all to see and there’s no amount of falsehood that will make anyone believe that a governor and party that has done so well in the state will be involved in any form of clandestine anti-party activity. “I want to call on these godless people to desist from such misleading stories and lies and avoid causing disaffection in Adamawa State” Bindow adviced. The Adamawa State Governor, Senator Muhammed Umaru Jibrilla has been focused and will continue to remain focused on fulfilling his campaign promises as mandated by the Adamawa people and will not be distracted for a minute.